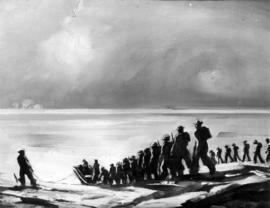 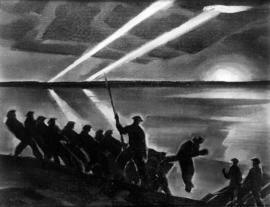 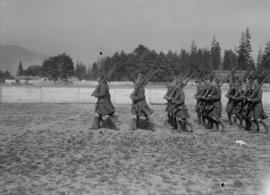 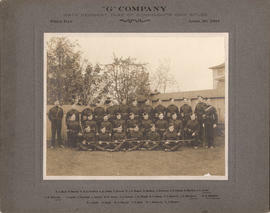 Item is a portrait of the 29th Vancouver Battalion. 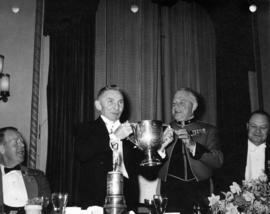 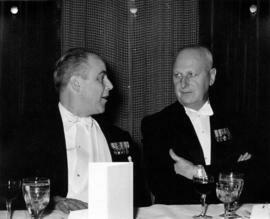 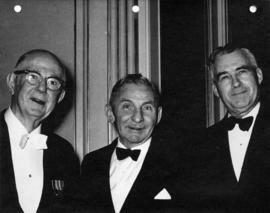 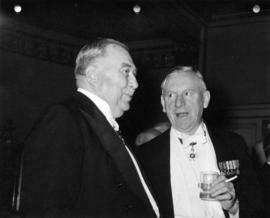 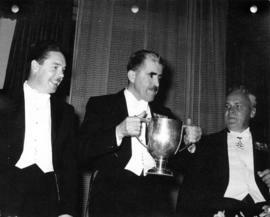 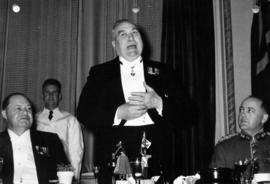 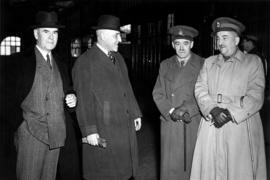 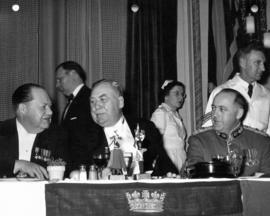 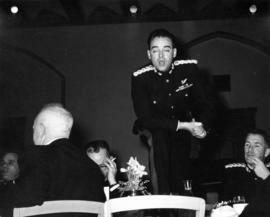 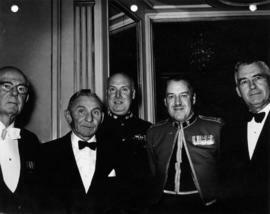 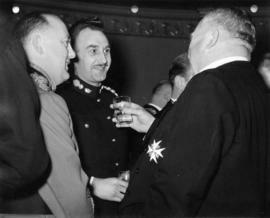 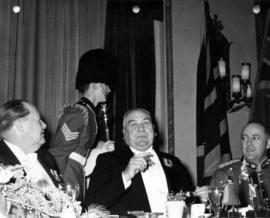 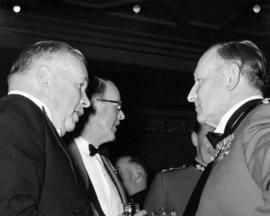 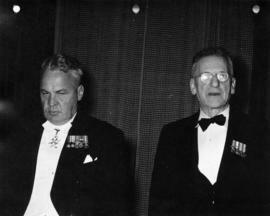 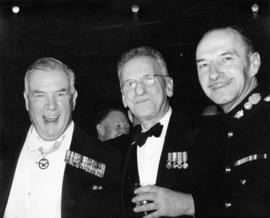 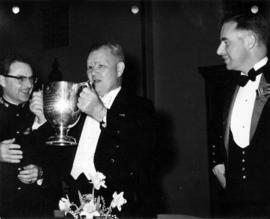 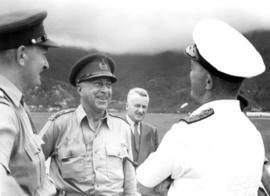 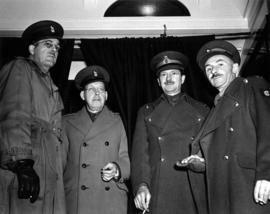 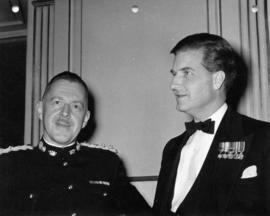 Item is a group photograph of Justice Alexander Malcolm Manson (left), Chief Justice Sherwood Lett (centre), and an unidentified man (right) at a Barossa Day dinner held by the Irish Fusiliers of Canada, Vancouver Regiment. 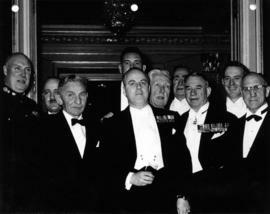 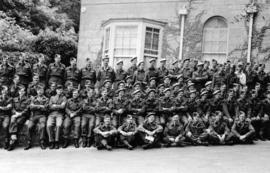 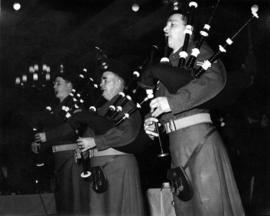 Item is a group photograph of men at a Barossa Day dinner held by the Irish Fusiliers of Canada, Vancouver Regiment . 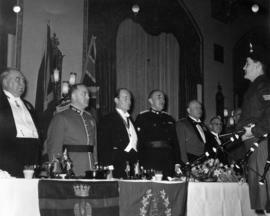 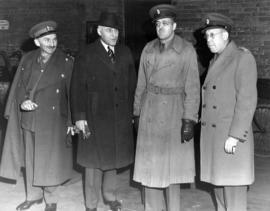 Chief Justice Sherwood Lett is the third from the left. 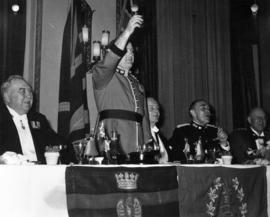 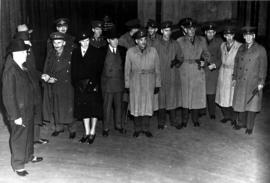 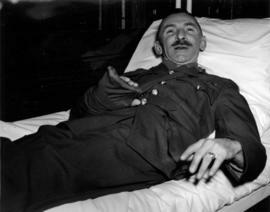 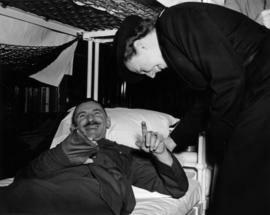 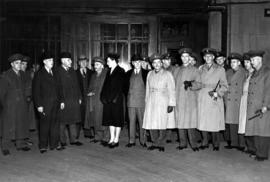 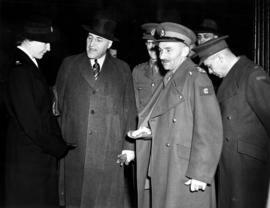 Field Marshal Montgomery speaking at a Special Congregation at U.B.C. 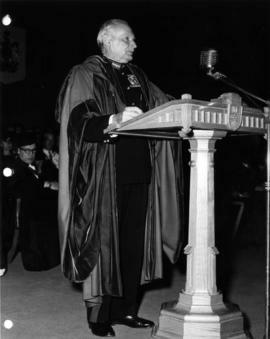 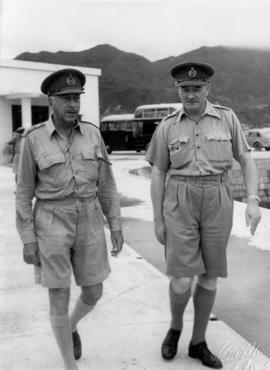 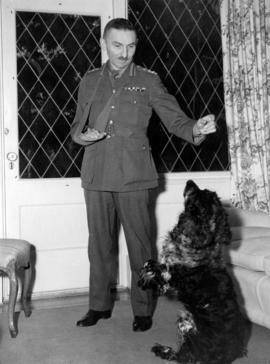 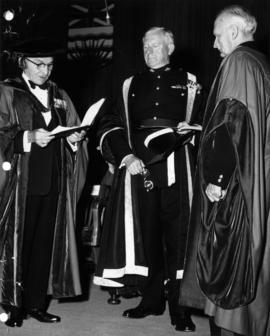 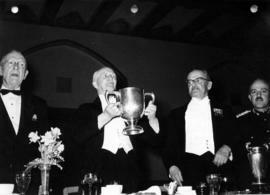 Item is a photograph of Field Marshal Bernard Law Montgomery, 1st Viscount Montgomery of Alamein giving a speech at a special University of British Columbia spring congregation at which he was awarded a degree of Doctor of Laws (honoris causa). 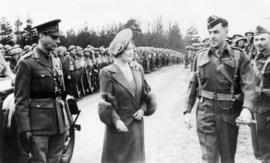 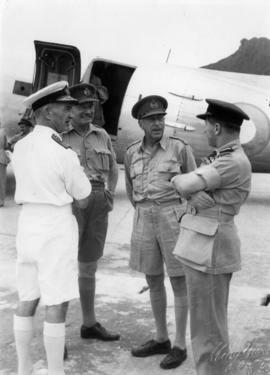 Item is a post card photograph of George VI and Queen Elizabeth at a troop inspection in Britain, Brigadier Payant is foreground right, and Brigadier Sherwood Lett far right. 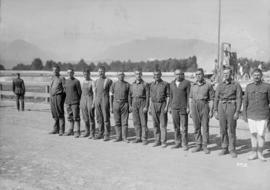 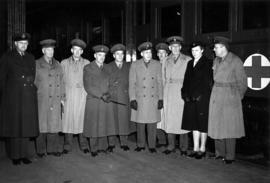 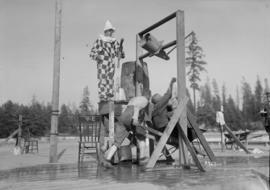 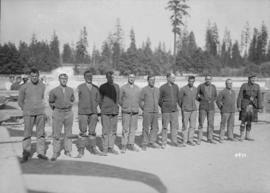 Item is a group photograph of officers during officer training. 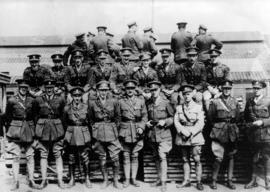 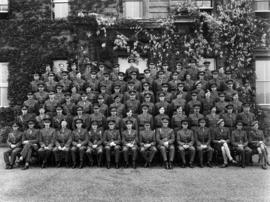 Sherwood let is fourth from the left, bottom row, seated.